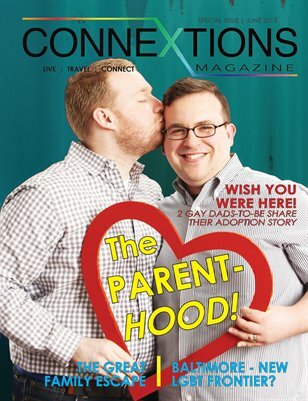 Connextions Magazine Parents Issue: The Parent-HOOD! Connextions Magazine Special Issue The Parent HOOD! The Parent-HOOD! is a great opportunity for LGBT parents and parents-to-be to find resources available to them, fun travel ideas and suggestions specifically geared to the LGBT community’s needs.